With the largest electric refrigeration fleet in North America, Polar Leasing refrigeration depots can be found in almost every corner of the country. In an effort to better serve the refrigeration and freezer rental industry, Polar Leasing has announced the addition of three new leasing depots. 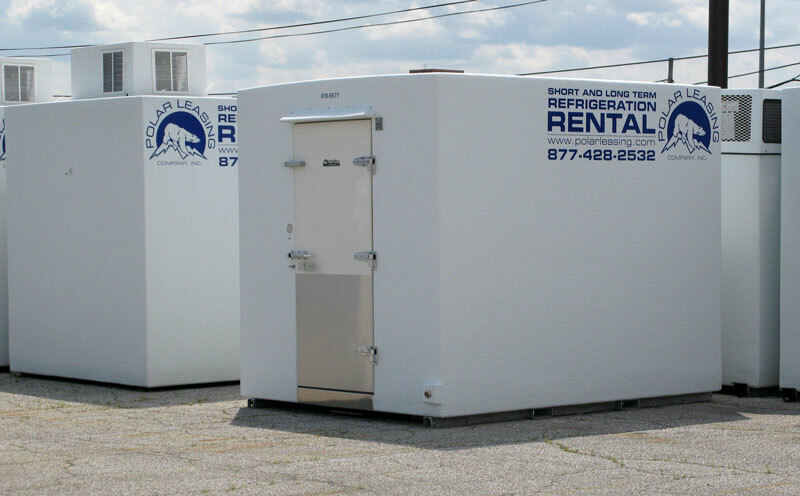 Our freezer and refrigeration depot fleet includes ground resting walk-in rentals and mobile trailer rentals, available in various sizes and operating temperatures. We also offer refrigerated warehousing and specialty units that switch from a refrigerator to a freezer with the touch of a button. With both long and short term storage solutions available, Polar Leasing Company specializes in temporary freezer rentals, refrigerator rentals, and refrigerated trailer rentals. Designed Around the specific needs of the rental market, every Polar Leasing unit is built to the highest quality standards, with a patented seamless fiberglass design. Combining efficiency, durability, and performance, Polar Leasing temporary refrigeration and freezer units provide storage flexibility and savings. We welcome you to come and check out our refrigeration/freezer rental calculator to get your pricing online and reserve your rental, here is a link to our Rental Calculator. To find a Polar Leasing depot near you, contact Polar Leasing today! Looking. To lease, a cooler/freezer combo for a small meat processing. Shop. Can you help me?